Unlike a residential roofing system, you can’t easily have your commercial roof replaced when signs of wear and tear begin to surface. That’s why every commercial roof should be made with the toughest materials, such as the roofing products from Duro-Last®. 1-800-RITE ROOF, the leading roof replacement company, discusses what makes Duro-Last a great choice. The Duro-Last commercial roof stands out among other commercial roofing products because of its custom-fabricated features. This means the seams are completed in a factory-controlled environment before installation. And, fewer seams mean fewer chances of roof leaks in the long haul – not to mention how much quicker and quieter your commercial roof installation will be. As a customer-centered roofing company, we understand how your roof needs more than a great deck. It has to come with equally sturdy roofing accessories that can ward off weather damage. That’s the beauty of Duro-Last. Its commercial roofing system is made with EXCEPTIONAL® Metals division roofing accessories. This includes vinyl-coated products, such as fasteners, adhesives and the Duro-Guard® insulation materials. All Duro-Last roofing products are backed with industry leading 15-year warranty coverage. It provides unparalleled protection for any commercial roof application. This warranty covers material and labor cost, wind protection and hail damage. You’ll feel at ease with the Duro-Last Roofing system protecting your building from outdoor elements while keeping surprise repairs away. 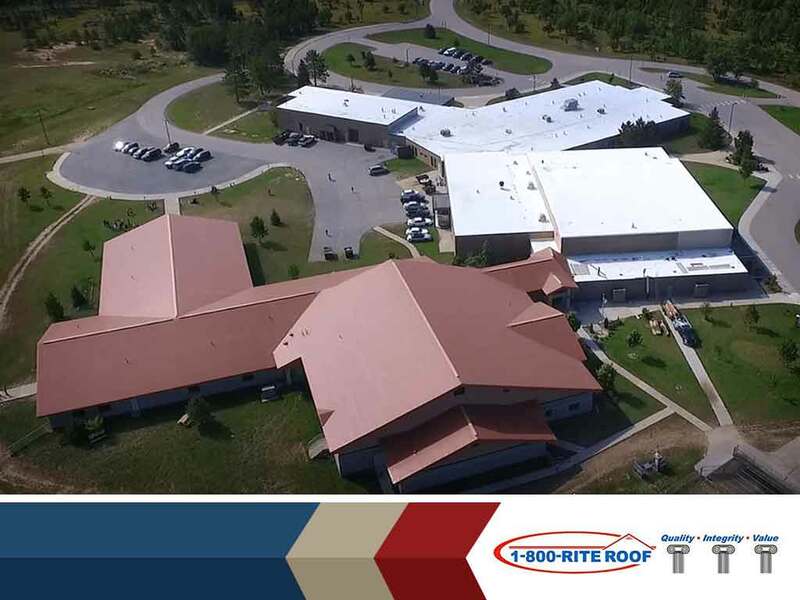 1-800-RITE ROOF, your leading commercial roofer, is dedicated to giving customers the utmost quality in both roofing products and services. That’s why we offer the Duro-Last Roofing system since it’s one of the best in the industry with exceptional features. Call us today at (262) 373-3800, or fill out our contact form to request a free project estimate.